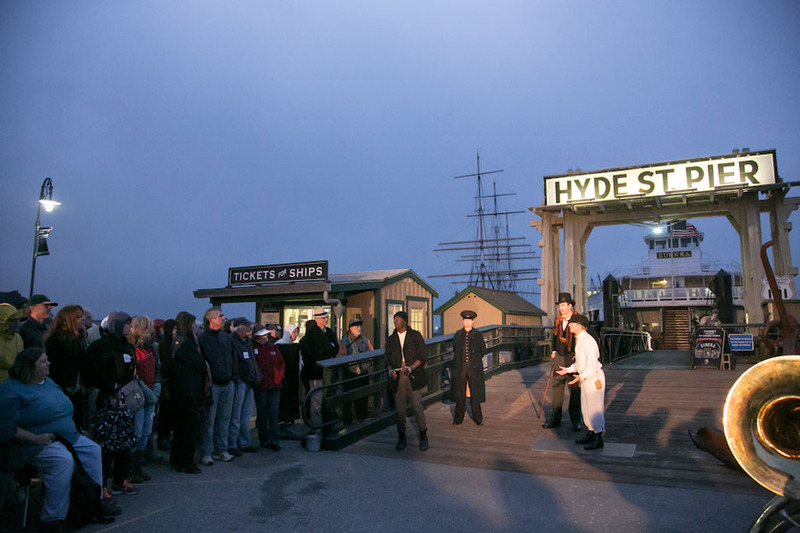 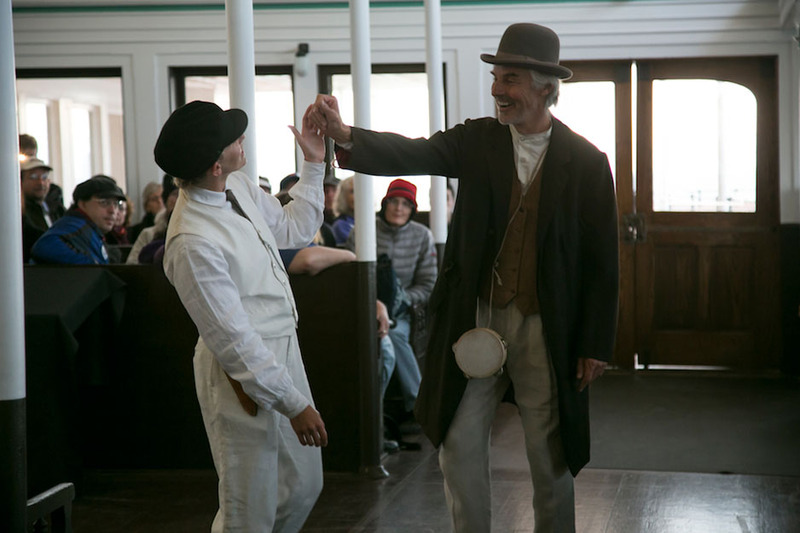 We Players transforms Hyde Street Pier into the busy seaport of Shakespeare’s Illyria, where you might encounter a shipwrecked youth, local jazz musicians riffing in the streets, or witness a fight break out between rivals. 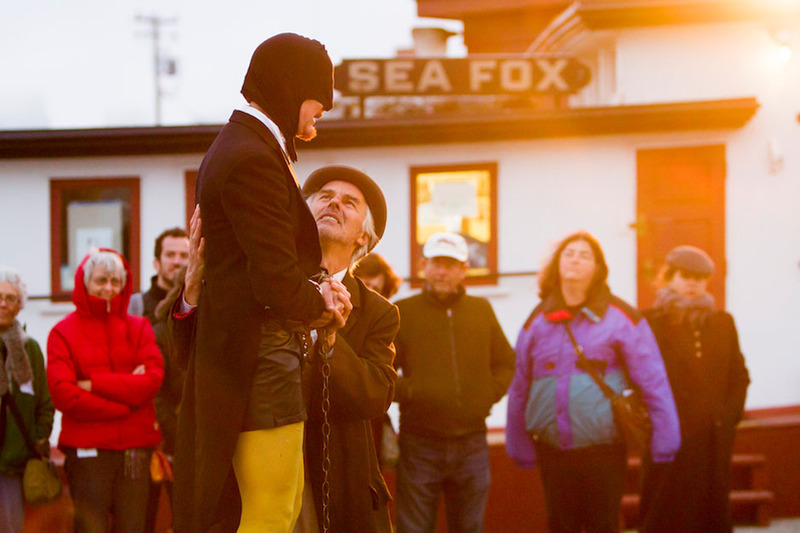 The ferryboat Eureka serves as home to Olivia, the countess who resists the love of Duke Orsino, but whose passions are roused by the shipwrecked Viola, in disguise as a boy page of the Duke. 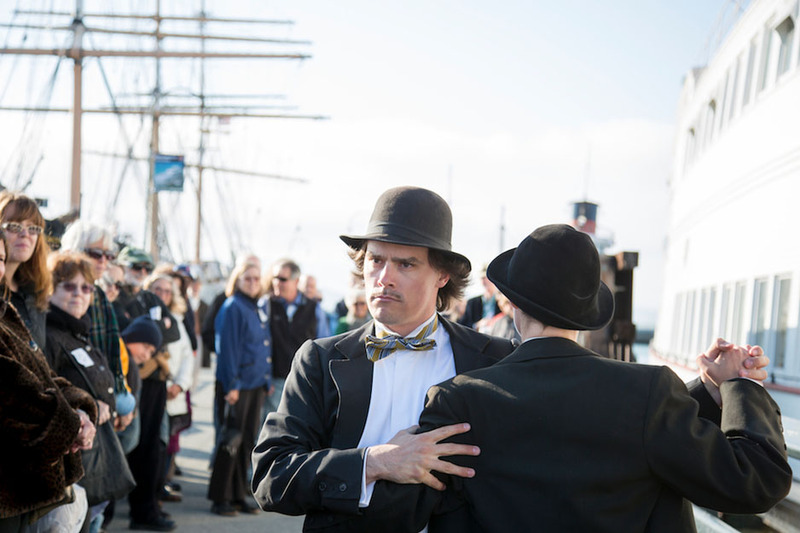 Orsino’s realm is the tall ship Balclutha. 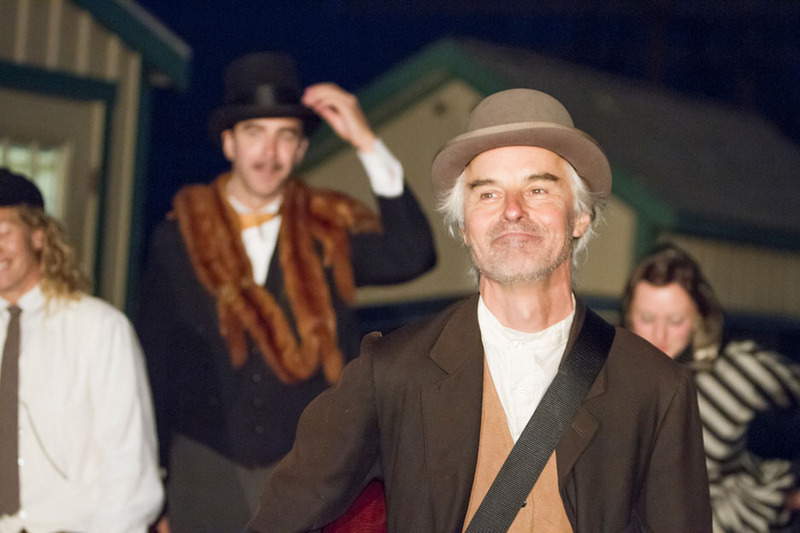 The audience follows Viola and Feste as both shuttle between Olivia and Orsino through the bustle of downtown Illyria, navigating mistaken identities and love run amok.